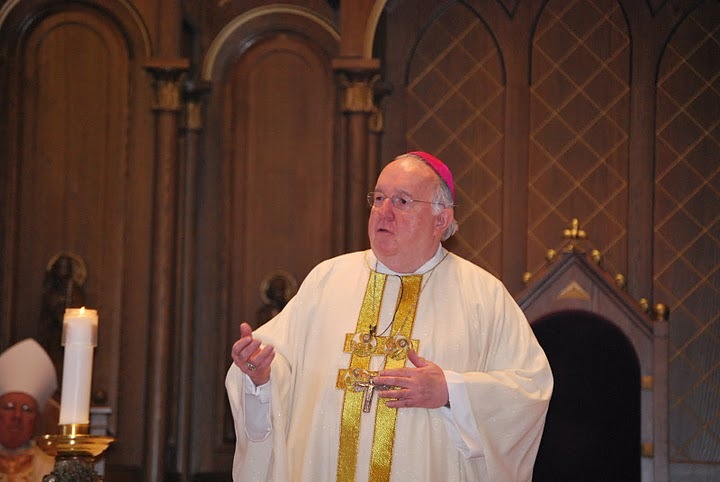 The following is the homily delivered by Bishop McDonnell on Christmas Eve at St. Michael’s Cathedral in Springfield. The Gospel reading we just heard doesn’t go into too much detail, but the story is still familiar. Of all the Christmas Gospel readings, it’s the starkest; yet, it’s the one that places Christ most fully in the human race, and we know what happened because God became one of us. Still, we like the details, and so…. 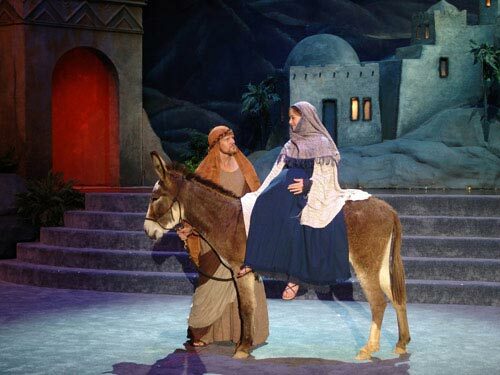 It was the second time in less than a year that Mary had made the long journey up to Jerusalem. The first time she had gone to see her cousin Elizabeth, following that strange day when Gabriel, the angelic messenger, had asked her to be the mother of the Messiah. 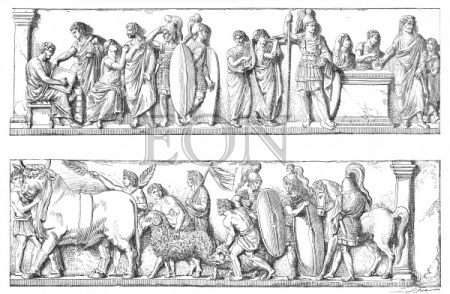 He had told her about Elizabeth and she knew her older cousin would need her help; so, she joined the caravan to make the long trip to Ain Karim, the little village a few miles southwest of Jerusalem where Elizabeth and Zechariah lived. So much had happened since then. Elizabeth’s baby boy, John, was a thriving infant. 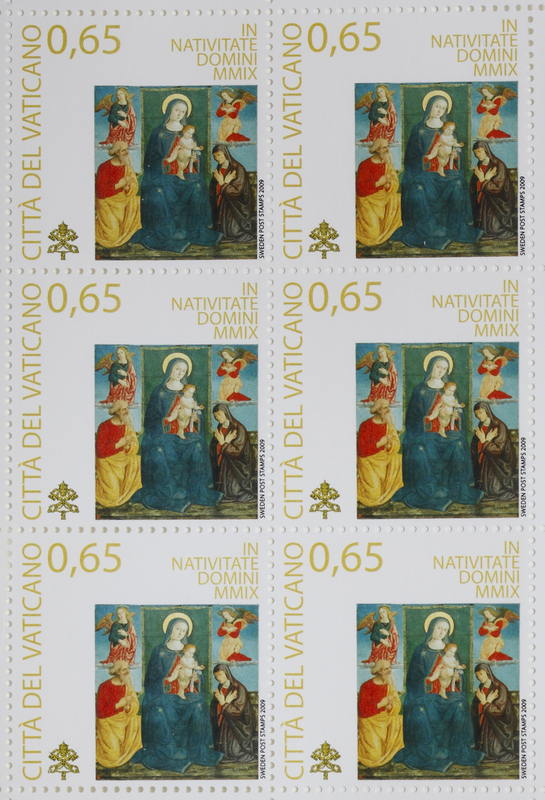 Mary had returned to Nazareth. 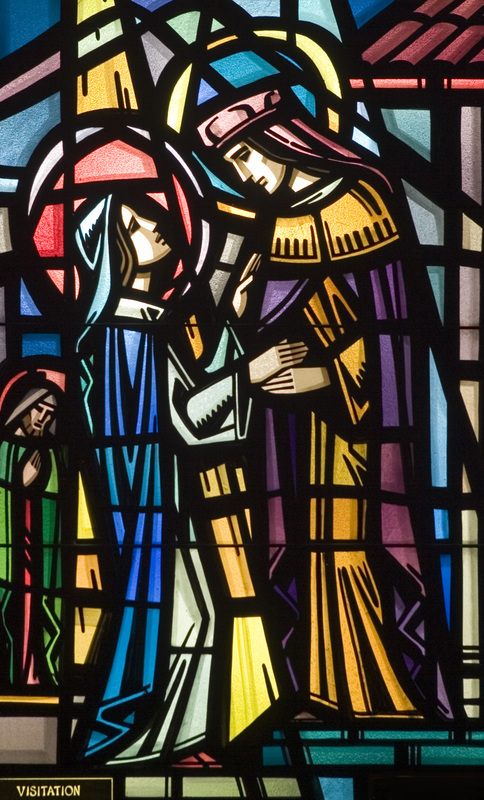 There, after Joseph’s initial upset and angelic dream, she had become his wife, moving away from the only home she had ever known, leaving behind her parents, Joachim and Anne, going from the familiar setting where she had grown up, putting her childhood behind her, and living now in Joseph’s house. It was there she had expected she would give birth to her child. Circumstances from the outside world intervened. Joseph was to be among those enumerated in the Roman census, and Mary, as his wife, would have to travel with him. Off to Bethlehem, the City of David, south of Jerusalem, Joseph’s ancestral home, must they go, there to be enrolled in the census. 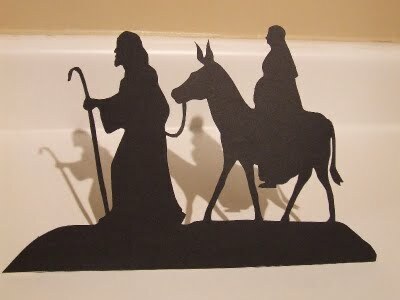 This second caravan was different because strong protective Joseph was there with her on the journey. Still, heavy with child, she wondered if she would be able to return home to give birth, or if the jogging of the journey might bring her to labor. And she pondered, reflecting on the angel’s message, reflecting on Israel’s age-old messianic hopes, reflecting on what “Son of God” truly meant, reflecting on what the future was to hold. So much to reflect upon; so much to think about; so much to be concerned about. 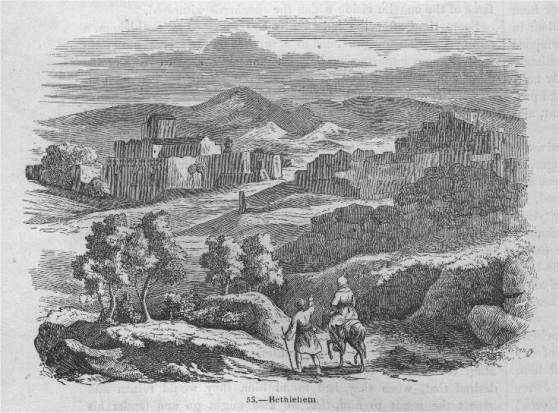 She knew from her earlier journey to Elizabeth that the average caravan from Nazareth to Jerusalem took approximately five days. Then, they would have to travel on the road south from Jerusalem another few miles to Bethlehem. They would not be alone. Many whose families traced their ancestry to Bethlehem were going there as well. In the last few miles, Mary began to realize the time for the birth of her child was approaching. Faced with the impending birth, Joseph sought shelter, but the town was crowded, filled to overflowing because of the census. There was no place to stay, until some kind soul pointed out the stable where at least there would be some protection from the elements. There Mary gave birth to her child. 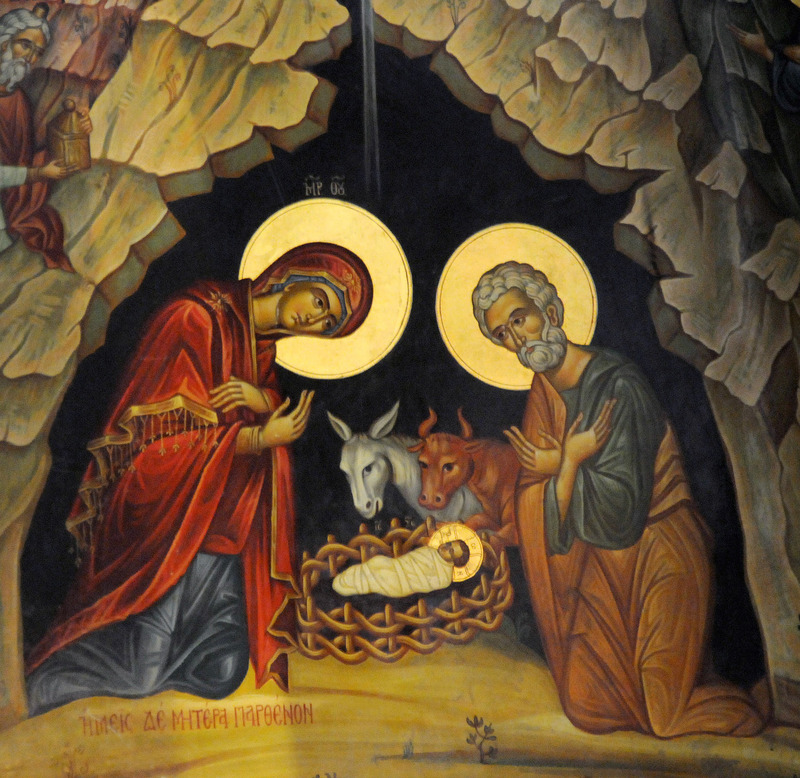 There the Word Incarnate, the second person of the Blessed Trinity, was born. It’s not the way most of us would have had God enter our world. No scriptwriter would have imagined salvation in a stable. But God’s ways are not ours. God wanted to be sure we realized how much he loved us – identifying with us all, especially with the lowly and least among us. 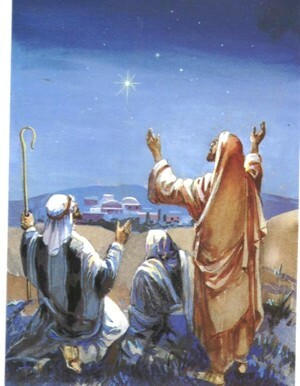 And while Wise Men will enter the picture later, it was the poor and lonely shepherds in the fields who first among us focused on the Word made flesh. God loved the world so much he became one of us, like us in all things but sin. God loved the world so much that he sent down to us his only Son that the Son might raise us up to God. No matter where we are, no matter what changes come into our lives, the Son of God remains the focus, the Word made flesh is at the heart of who we are as Catholics, Christ is present for us at Mass on the altar wherever we may be as truly as he was made present that first Christmas in that Bethlehem stable. Christmas serves as a reminder that we have not here a lasting city; what lasts is Christ who leads us into eternity. We are called to be the pilgrim people who follow him. We are called from the caravan of life to answer with Mary, “Be it done to me according to your Word.” Whether young like Mary at the time of the Incarnation, or old as they say Elizabeth was at the time of John the Baptist’s birth, God calls us to follow the child who was born in Bethlehem, grew up in Nazareth, preached in Galilee, died in Jerusalem, rose from the dead, and is now seated at the right hand of the Father where he promises that, as he came at Bethlehem, so will he return at the end of time to make all things right. May we who are privileged to experience his presence in Mass and the sacraments celebrate the fact that we have been blessed with the gift of faith in him who lives and reigns forever and ever. Amen. Wherever you are, have a Blessed Christmas! JoAnn Hauge of Lanesboro was excited when she opened the Feb. 26, 2010 copy of The Catholic Observer. 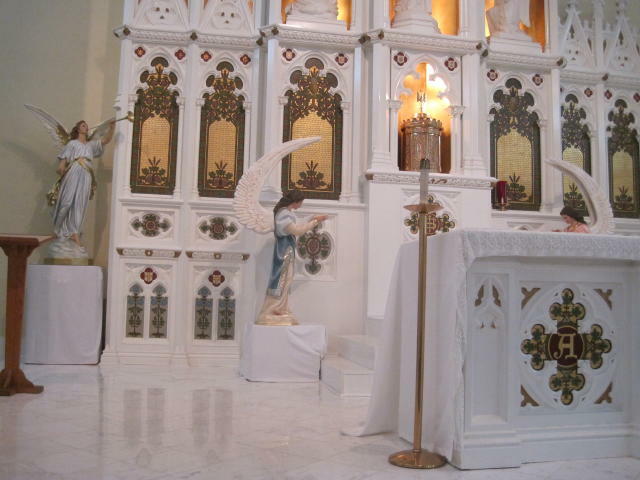 “I was thrilled to see the altar from my home parish was featured and was now being used in a parish in Mississippi,” she said. 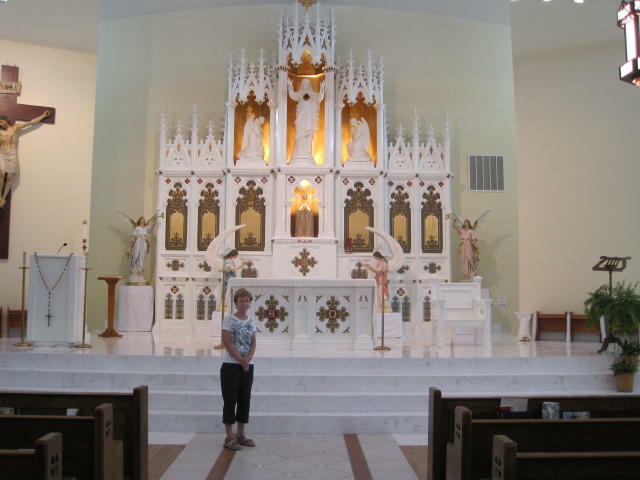 JoAnn, a native of Adams, said she grew up in St. Thomas Parish in Adams and loved seeing the altar was now part of Annunciation Parish in Kiln, Mississippi. 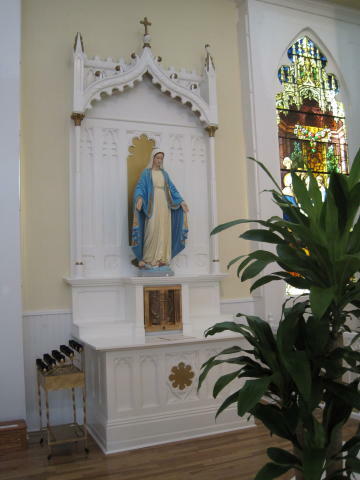 She said St. Thomas was where she was brought up and married and she wanted to see the altar and say goodbye. She called Annunciation Parish and arranged for a visit. 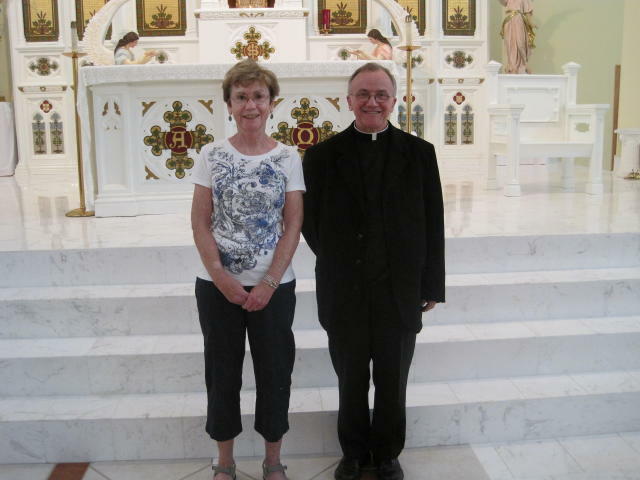 She said Tammy, the parish secretary, was very helpful and Fr. John Noone, the pastor was most hospitable. JoAnn said the parish had a smaller church but the parish had grown since people moved north to the Kiln area after Hurricane Katrina. 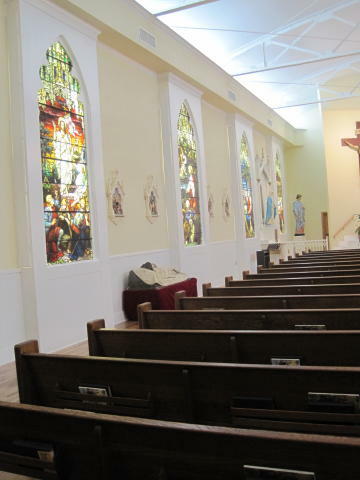 The parishioners voted to use their parish gym as a church and create a larger space. JoAnn said the gym was built by the Civilian Conservation Corps and was a sturdy structure. 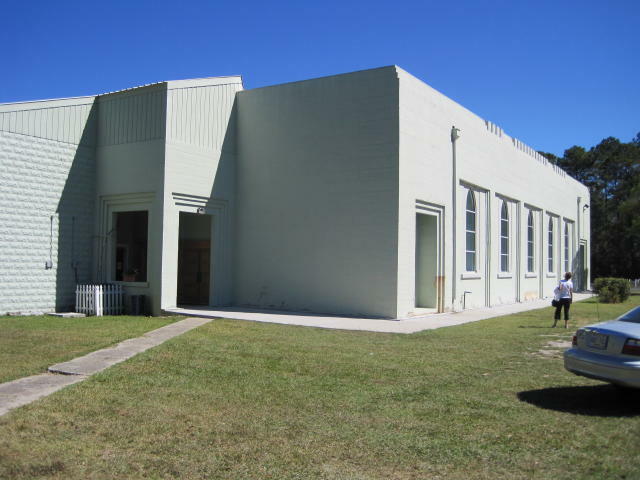 Still, a lot of renovations were done to make this former sports place a house of worship. 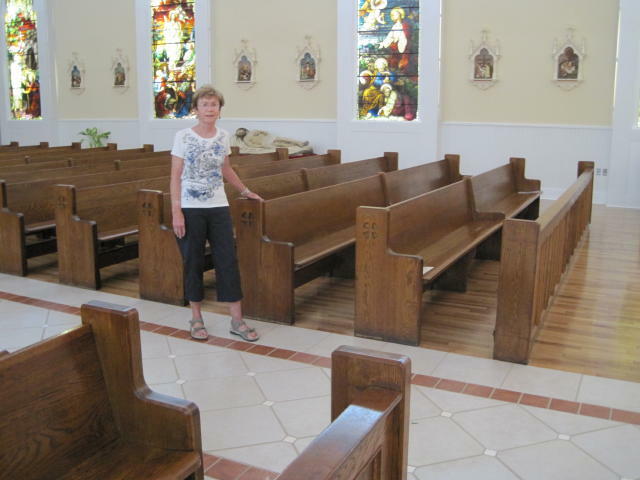 The pews were brought in from St. Mary Morningstar in Pittfield. 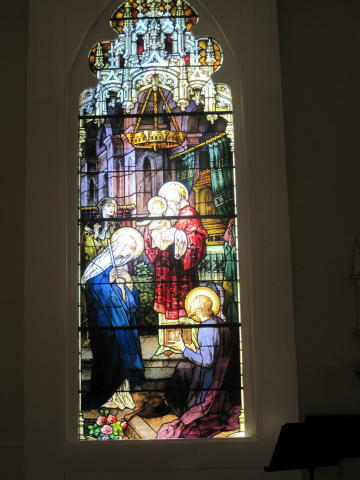 The stained glass windows came from St. Francis Church in North Adams. 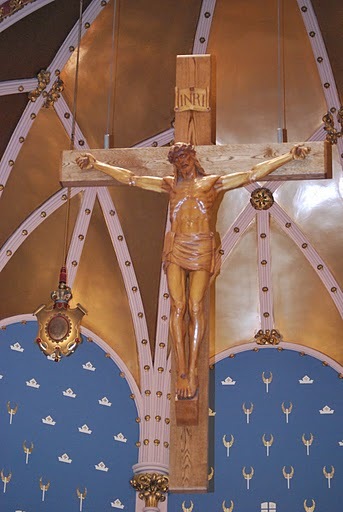 The tabernacle came from the convent at Mt. Carmel Parish in Pittsfield. 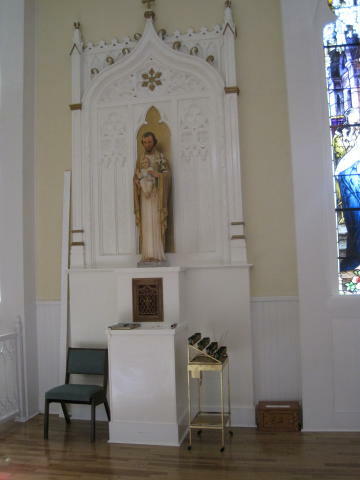 The side altars for the new church also came from St. Thomas in Adams. “I feel so blessed to have been able to make this visit,” said JoAnn. 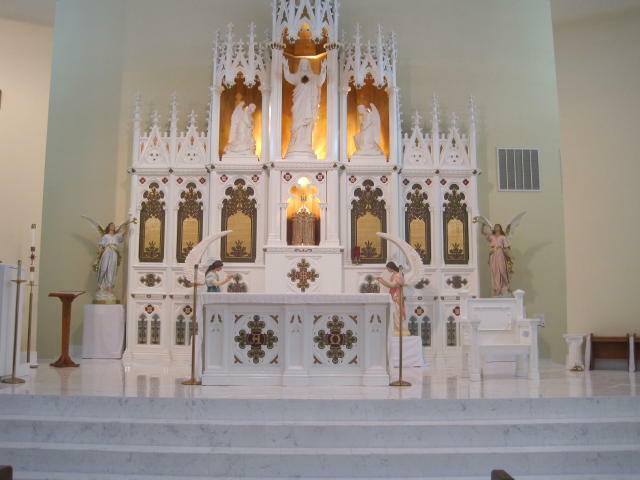 For more information about Annunciation Parish in Kiln, Mississippi call 228-255-1800. It’s the time of year when people decorate their homes and prepare for the holidays. At Providence Place in Holyoke, the decorating takes on a community spirit as the residents and staff work together to create a place of beauty and joy. 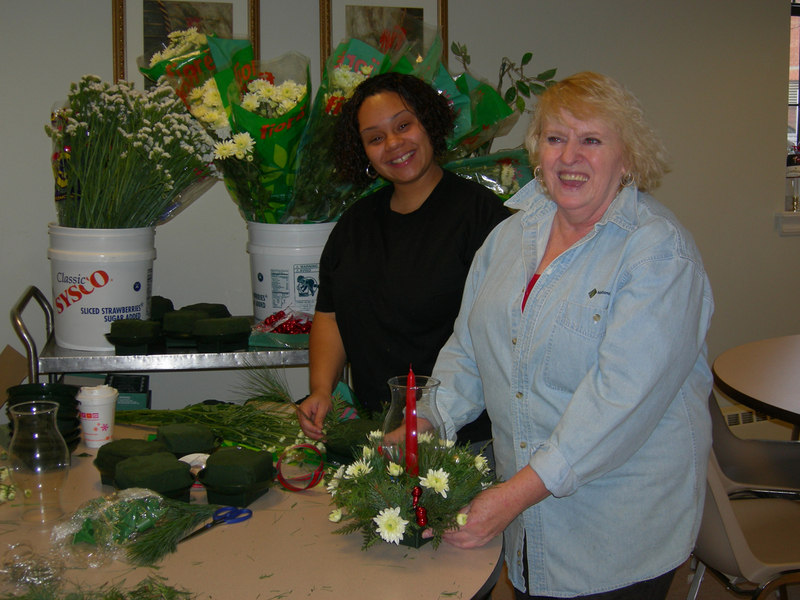 Eva and Charlene, who work in the Dining Services Department, used their creative artistry to prepare centerpieces for the annual Christmas Candlelight Dinner which is held for the residents. 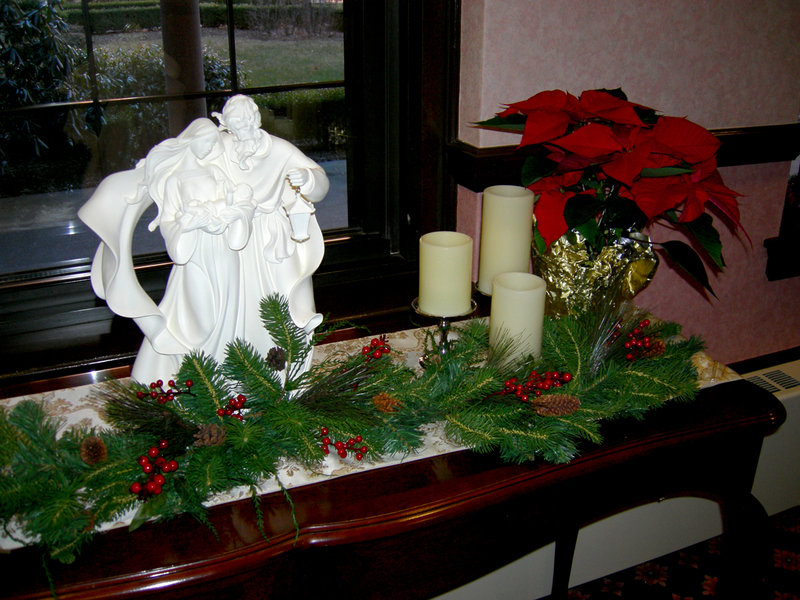 They said that the centerpieces and other decorations help residents and staff feel “a little extra special” during this time of the year. Marion Dolan and Margaret Fitzgerald admire their choir of angels. 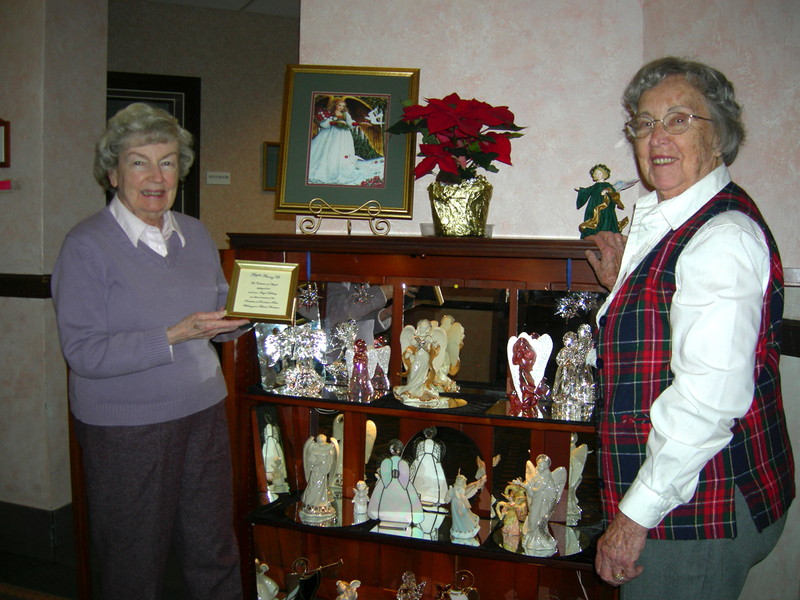 Marion and Margaret, residents at Providence Place designed an “angel theme” display in the reception area’s glass display case. They worked with Sister of St. Joseph Joan Ryzewicz, director of resident services. Photos courtesy of Providence Place, 5 Gamelin Street, Holyoke, 413-534-9700. The Church always rejoices when men are called forward to Holy Orders – men being set apart for service in the Church as deacons and priests. 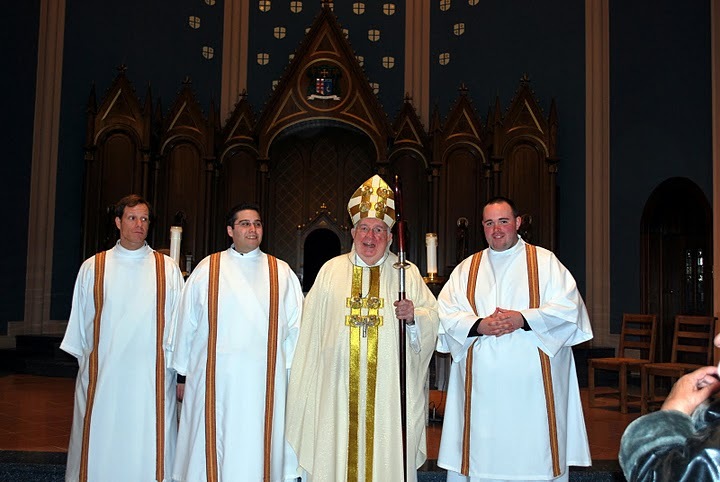 On Saturday, November 27, the Church of Springfield rejoiced as three of her men were called to the Order of Deacon and ordained by Springfield Bishop Timothy A. McDonnell. Three bishops and more than 50 priests and deacons gathered with more than 300 worshippers to rejoice with Raymond Tucker Cordani, Ryan Patrick Rooney and Michael James Wood, Jr and their family on their call to ordained ministry. This celebration came after many years of seminary formation and study. 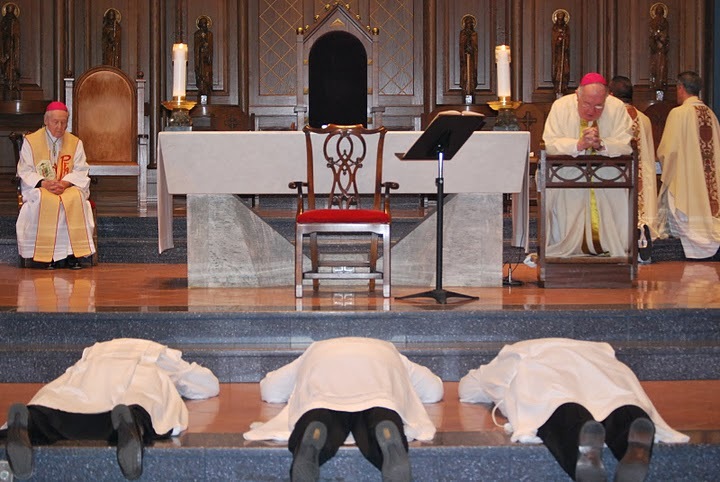 Their ordination to the Transitional Diaconate is another major stop toward their ultimate goal of priesthood. 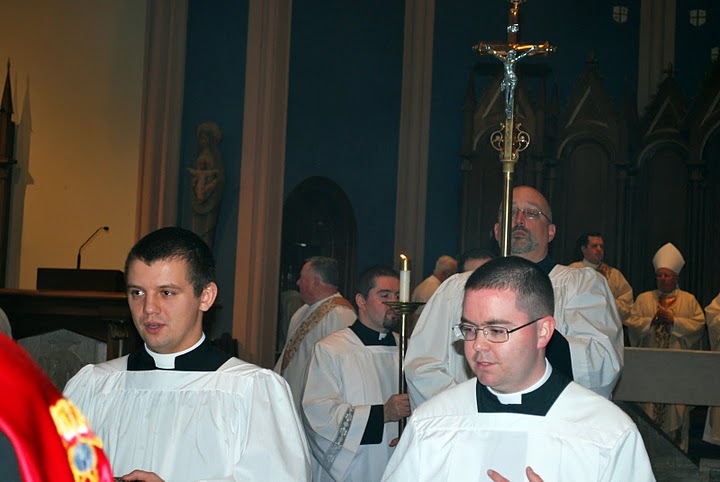 The diaconate is a time for men to grow in their practice of charity. This Order is about service, both at the altar and among the People of God. 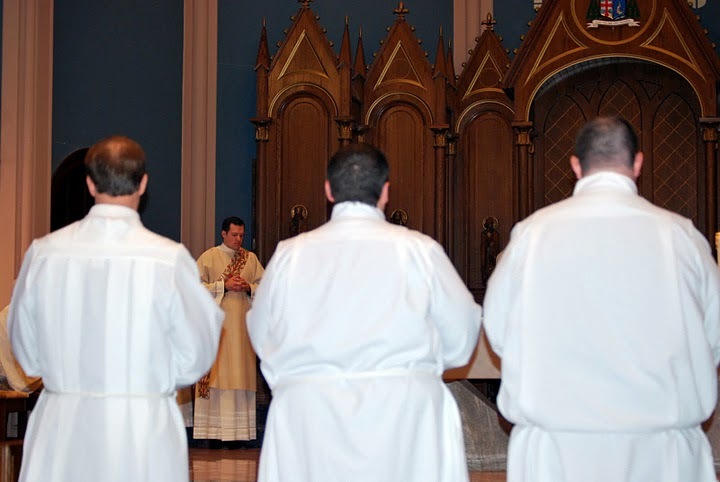 The transitional deacon also conforms more closely to Christ so that one day when he is called to the priesthood he will be configured to the person of Jesus Christ as he celebrates the sacraments of the Church. 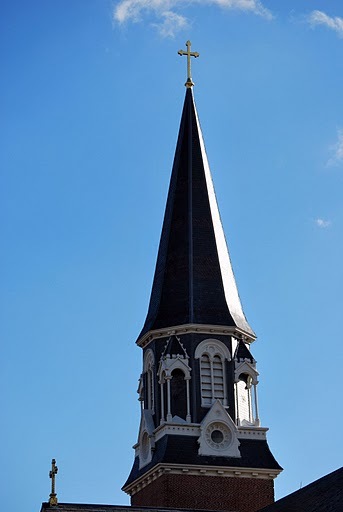 The ceremony began with their “Ad Sum” or “Present.” They stepped out of the pew, indicating that they are being “called apart” from the congregation to service in ordained ministry. There is the testimony of their worthiness and the actual call of the Bishop and the consent of the people through their applause. The instruction given by Bishop McDonnell was beautiful. 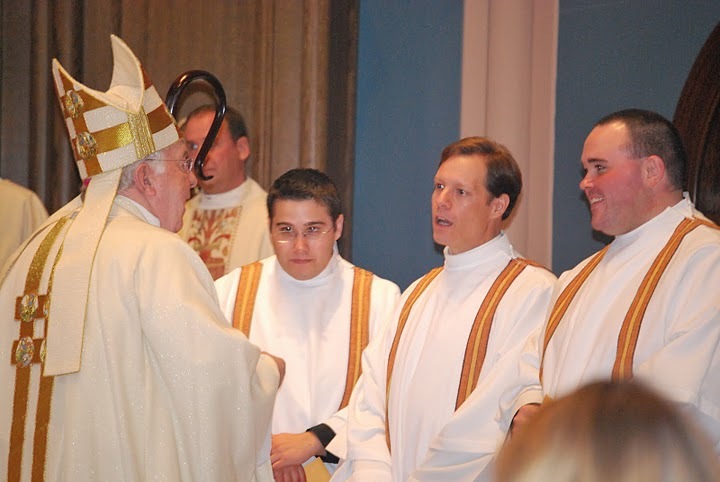 He weaved through the official instruction for the deacons a personal message and also the words of Pope Benedict XVI to seminarians. He told them that they are entering into challenging times but with prayer and support of the community, they will persevere and make God’s Word present as a sign of hope. Tucker, Ryan and Michael were asked by bishop to commit themselves to a life of prayer through the praying of the Liturgy of Hours as well as to a life of celibacy. Being free from marriage they will now be able to serve God and His people without distraction and with great zeal and fidelity. Now, Rev. Mr. Raymond Cordani, Rev. Mr. Ryan Rooney and Rev. 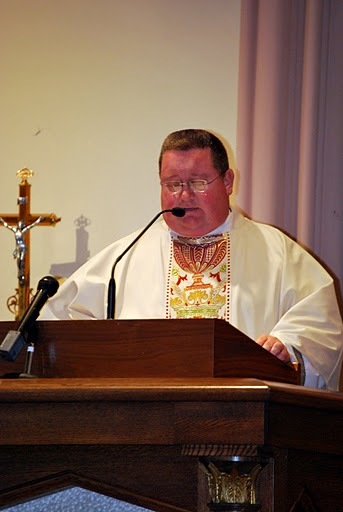 Mr. Michael Wood, Jr, are sent to proclaim the Good News, work with the poor, assist the bishops and priests at the altar, baptize, preach, witness marriages, bury the dead. 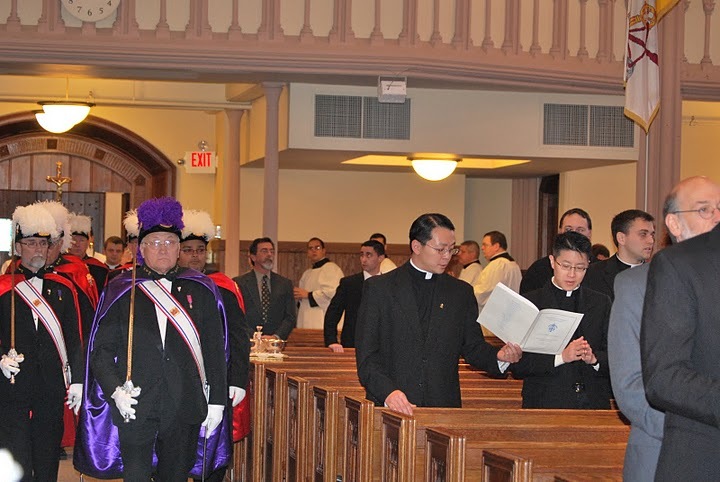 They wait with eagerness their call to the Priesthood of Jesus Christ so that they can transform bread and wine into the Body and Blood of Jesus Christ, absolve sins and anoint the sick. What a great gift they will receive and what great gift the Church of Springfield will receive as well. We wait in anticipation for that day. 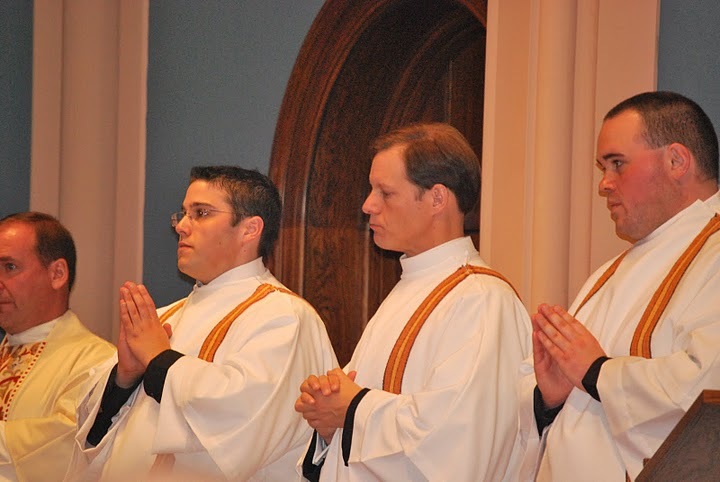 Until then, they serve the people in charity as our newly ordained deacons.